We understand that marketing exists to connect consumers and customers with brands. So we’ve harnessed the power of something that connects like nothing else can - the power of stories. Insync marketing & event solutions provides complete BTL activation & execution solutions for all BTL activities of corporate clients. Team Insync helps you create higher visibility for your brand and establish a brand connect with consumer's mind. 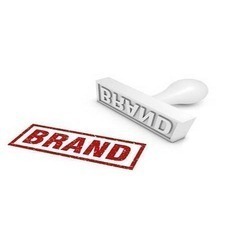 Our brand activation ideas fuel brand recall and build brand image in the minds of consumers. We love to bring brands to life by events that are not simply a trademark or an easily remembered design or a slogan but a painstakingly crafted personality sketch of your organization, product or service. brand activation programs give your product a complete coverage range of viewers. We cover below listed activites in brand promotions. Rome wasn’t built in a day, nor are any successful brands. Creating and building a brand is a herculean task that can be managed with our extensive toolbox of ideas. From launching your brand, selling the idea that your brand embodies to market penetration, we provide end to end solutions for creating your Rome, of course, not in a day.